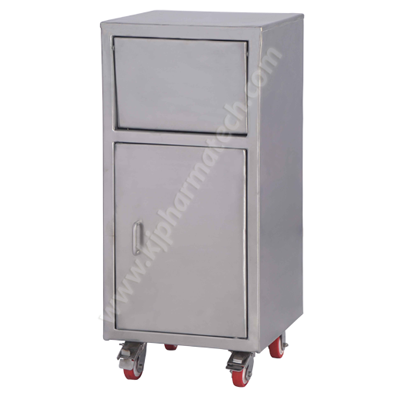 Dustbin being the major item required for clean room we offer produce them in a range of capacities and our Postbox Type Dustbin are especially accessible in a huge range of designs to choose from. The designs enable easy dumping of the garbage and easy cleaning of the same from the dust-bin. Moreover the design makes certain that the dust-bin is compact and occupies less room. We fabricate them with high quality basic materials and components & up-to-date technology in adherence to the norms of the industry. This enables us to ensure that we offer our clients supreme quality products with a very good life span. We also inspect their quality to ascertain that they are high in strength and have admirable finishing. We offer them at very good prices too. We are the top Clean Room Furniture Suppliers of India.